Didn’t you notice any links in this thread? Anyway, the fastest way to get the latest news and updates, as I understand, is Telegram. I visited your website and found that Youtube video doesn’t play. As you already know, we invest in different projects. Today we are ready to openly open deals where possible! There is a video on the main page but it won’t play. I tried different browsers but I don’t see the change. 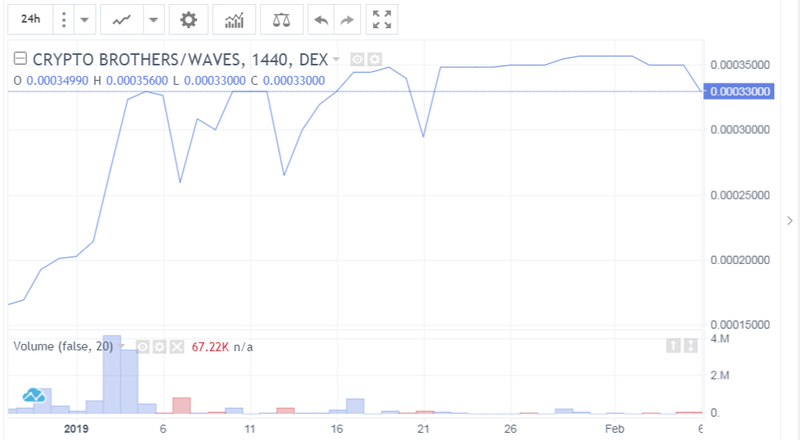 We are trying very hard to prepare the most understandable material for investors. We collect the most frequent questions and publish them in the FAQ. Soon we will resume publication on all of our information channels information on the loading of profits in CRYPTO BROTHERS TOKEN. We also have plans to update our personal account in the near future. We have a desire to increase the investment interest in our token. We discuss all the proposals from you, and if they are rational, we turn them into reality. Great, I’m waiting, as well as many others! Ask a question in our chat telegram, the programmer will answer you, we are happy to help. There have been no big changes! Thank you for your understanding and interest in our token, we are happy to help! I don’t think it makes sense to use support and resistance in this case. The trading volume is pretty low. I mean, who are these brothers? Founders, investors, friends? Or it’s just a random name? Does it have something to do with this token? It’s not another update. But supply and demand drives the price for everything in the marketplace including this particular asset. What are your predictions for the near future? For a few days, weeks? Several percent per month, as it’s been stated before? Started streaming 6 hours ago. They should have noticed us on time. Hope, we’ll be able to watch the video. company news, reports, updates, etc. Telegram is not the most popular messenger in the world. Are there any other information channels? Only telegram and a website, . what about Facebook, Youtube. You do have a youtube channel, but that video still won’t play. The most important factor is the price itself. Consumers do the opposite of best investment practices - they buy when the price goes up and sell when it goes down. I think it’s worth being guided by how much you want to earn and keep token until then. 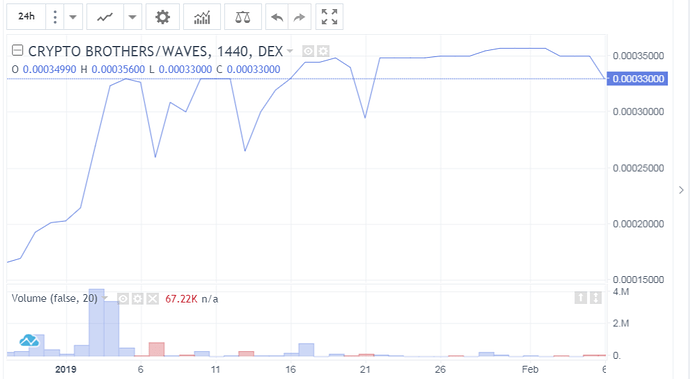 Now the price is 0.00033 Waves, this is about $ 0.000825, we plan to increase the token to $ 5 within three years, if we are lucky, this may happen earlier. When our plans come true, we will set new goals. To this group we have no relationship. In the beginning there were different options for how to call a token / company / team, we stopped at this, because it is all together: the Founders, Investors, Friends and our new community. We have an amazingly well-coordinated team, although it is still small. We also set the task to expand team. In fact, he is an international messenger, it is very convenient. We are not yet registered in social networks and Youtube. As the need arises of course we will do it. I don’t understand what video you are talking about? If it’s about a live broadcast, it is up and running, if you have problems playing it, write a programmer to the telegram in the chat and help you figure out why. Usually no difficulties arise. In addition, downloadable profits are constantly pushing the price to new heights.